Historical Note: The Leonardville E.U.B. 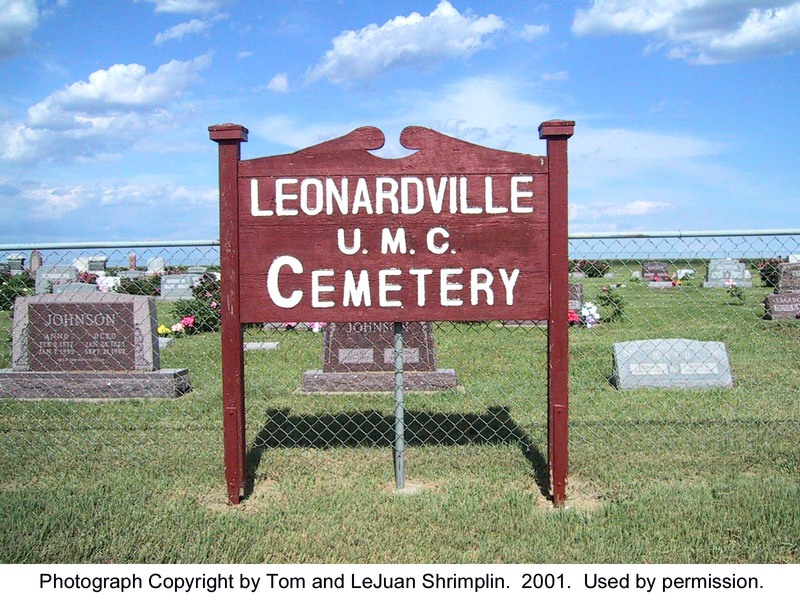 Cemetery became the Leonardville U.M.C. Cemetery about 1970 after the Evangelical United Brethren and the Methodist Church merged and became the United Methodist Church at the national level. The United Brethren organized when the Rev. W. M. Heiser came to baptize the children of Christian Hoch in 1880. Earliest grave is that of John Bohnenblust’s daughter, Mary, born 9 August 1873 and died 2 December 1873. Directions: In Leonardville, take Barton Road, Highway 24, east to Crooked Creek Road. Turn right (south) onto Crooked Creek Road for .75 mile. 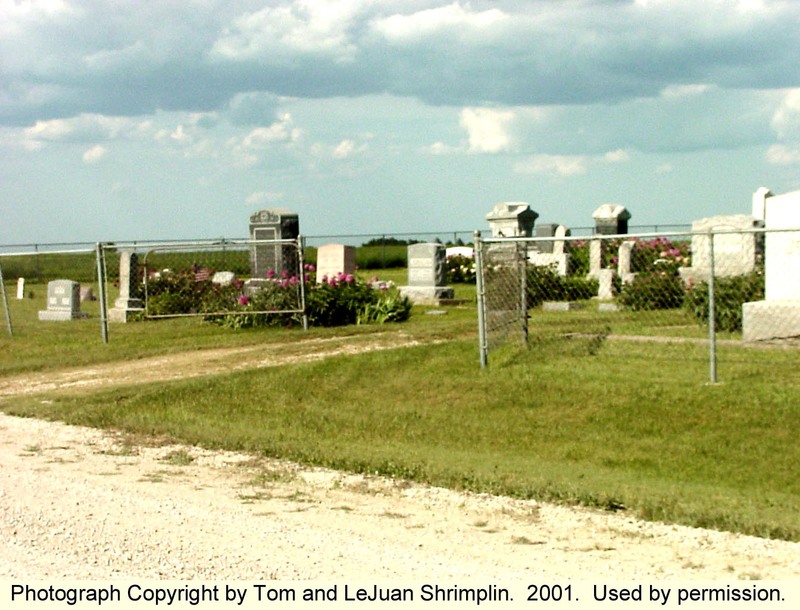 The cemetery is on the left (east) side of the road.